Online Registration is Now Open for the Regions 9 and 10 Seattle Tribal Gathering. Registration is free for all interested Title IV-B funded tribes that reside within ACF Regions 9 and 10 including tribes in Alaska, Arizona, California, Hawaii, Idaho, Nevada, Oregon, and Washington. The conference will be held at the Emerald Queen Hotel & Casino. A special conference rate of $99.00 per night has been arranged for all Region 9 and 10 tribes who wish to attend this gathering (please note that those selected for a team scholarship will not need to make their hotel reservations directly). 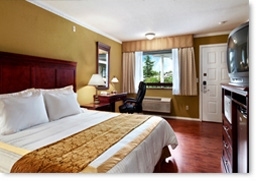 The deadline for hotel reservations at the special rate is Wednesday, July 27, 2011. The Emerald Queen Hotel & Casino is located just 17 miles from Seattle-Tacoma International Airport. Monday, August 15th 2:00-4:30pm, Tribal IV-B Pre-gathering: The ACF Children’s Bureau Regional Offices 9 and 10 invite you and your team to participate in a pre-gathering roundtable discussion on Monday afternoon from 2 to 4:30 p.m. This roundtable discussion is intended to facilitate sharing of innovative ideas among you, your partners, and your colleagues from other Tribes about how title IV-B funds are used and/or can be used to support your child welfare program goals. Bring your questions and ideas or just come listen for awhile. Parking: Free Parking, World Class Catering, 24 hour Restaurants and Lounges, Complimentary Casino to Casino Shuttle. When checking in to the hotel, you will be asked to present your credit card for any incidentals during your stay. You will not be charged for your room - only incidentals. If you do not have a credit card, you will be asked for $50 cash as a deposit for your incidentals. 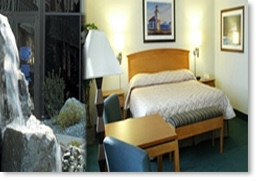 If you do not incur any expenses during your stay, you will receive the $50 back upon check out. If you encounter any problems while checking in at the hotel, please call Bridget McCleskey at (907) 854-9470. 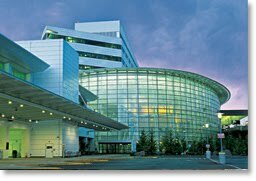 Seattle-Tacoma International Airport is located just 17 miles from the Emerald Queen Hotel & Casino. Gathering attendees arriving by way of Seattle-Tacoma International Airport and driving to the Emerald Queen Hotel & Casino can find Driving Directions Here. Shuttle Express - Service from the Airport: Passengers are picked up at the inner drive curb on the third floor of the Airport Garage. Service from the Airport: Call (425) 981-7000 for reservations. Passengers are dropped off at their airline.